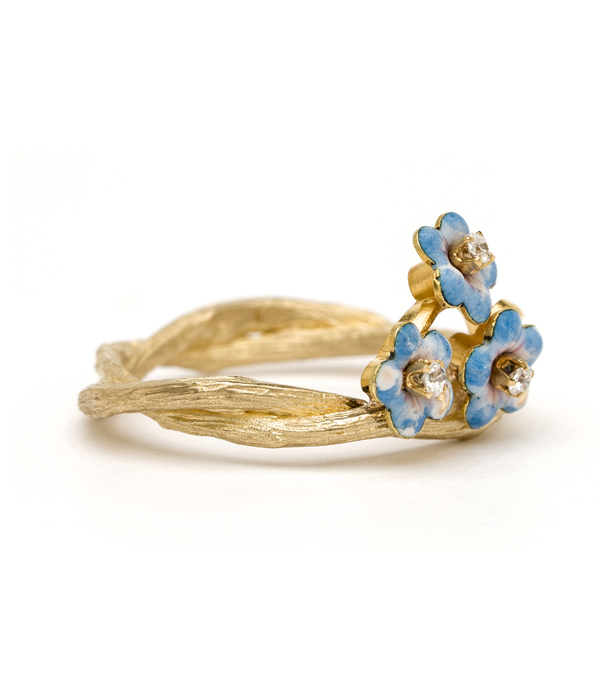 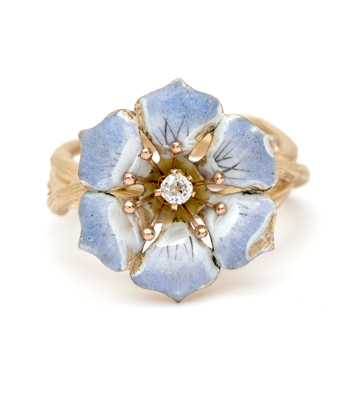 This one of a kind ring features an adorable vintage enamel cluster of forget-me-not flowers, each highlighted with a single cut diamond center, wrapping around our solid 14K gold signature double branches band. 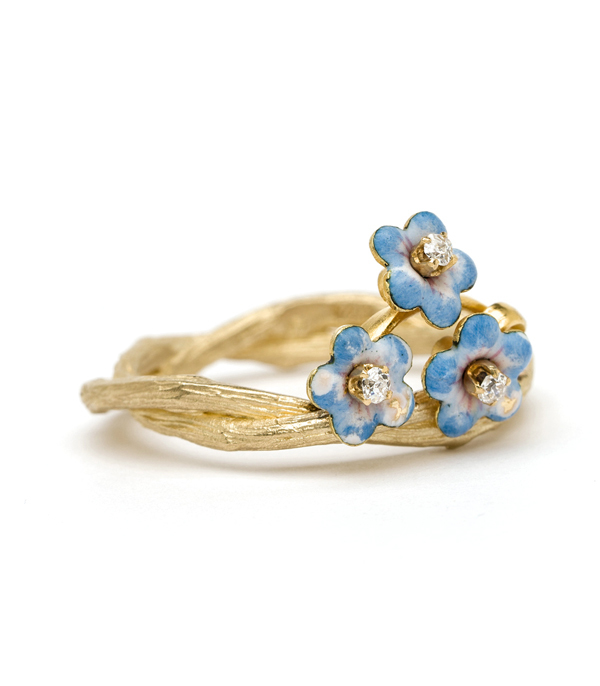 The enamel flowers spill over the side of the band creating the look of a mini floral tiara. 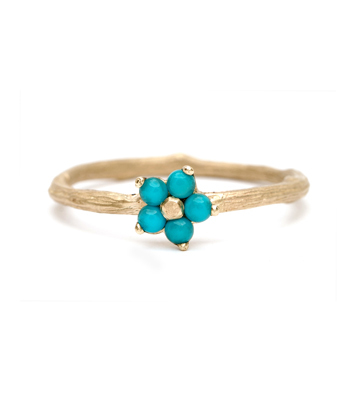 An everyday reminder of those close to your heart, we think this colorful stacking ring makes a perfect gift for a treasured friend or loved one alike. 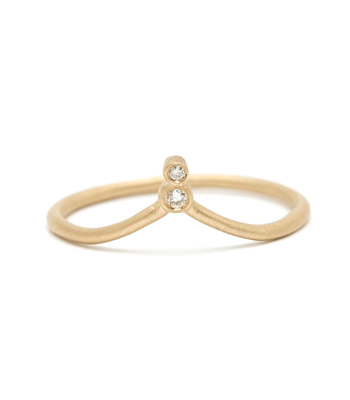 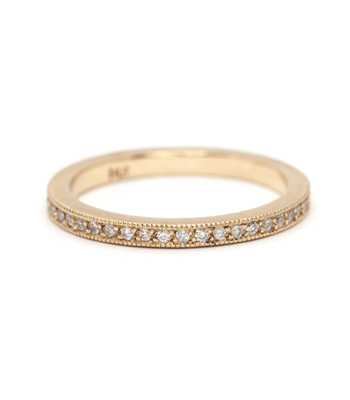 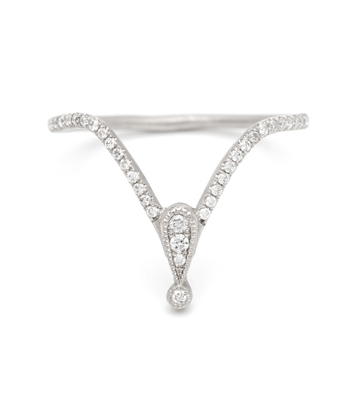 Wear alone or in a stack of twig rings and other petite diamond bands for a layered look. 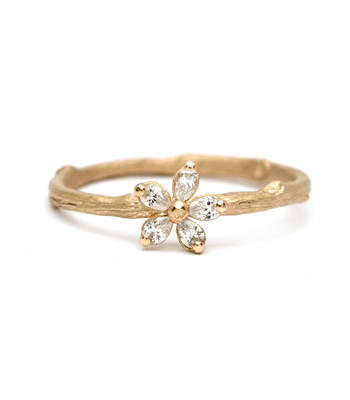 Either way, this lucky charm is certain to add a bit of sunshine to your day. 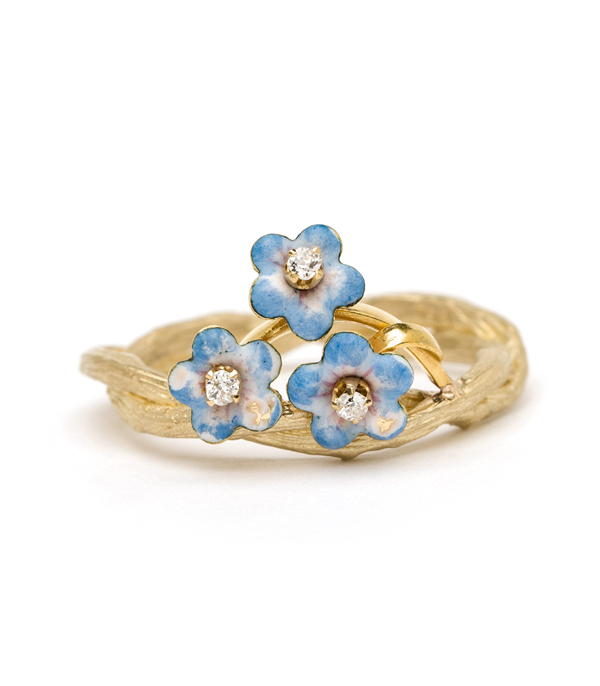 Categories: Language of Flowers, Maria's Favorites, One of a Kind, Rings, Something Blue, Stacking Rings.